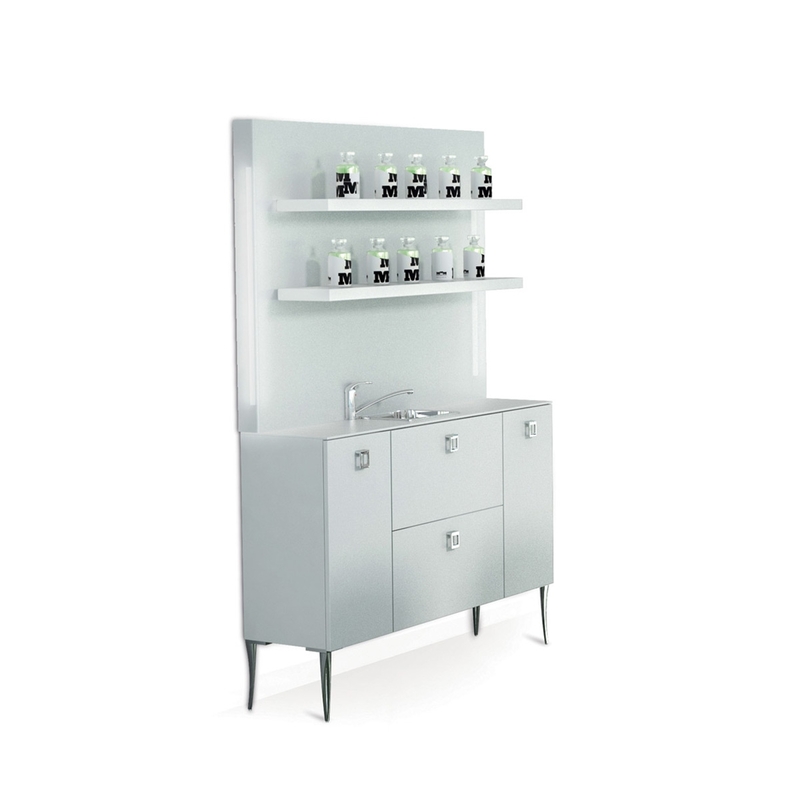 Laboratory furniture for wash-units area with lighting and waterproof worktop in full-thikness laminate. Complete with stainless steel basin and shelves for products display. Cabinet available in white or black finish.